Demonstrating how important energy efficiency is for the country, and how seriously governments are taking it, the Coachella Valley Association of Governments (CVAG) took almost not time at all to pass a new energy loan program. 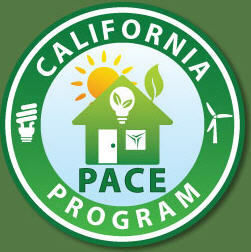 The property-assessed clean energy (PACE) program is not unique to this district. Many regions in the country have adopted similar programs to help spur investment in energy efficiency upgrades for homes and commercial properties by offering affordable financing options so people can make the upgrades now and reap the benefits going forward. To be eligible for the program, property owners have to be up-to-date on all mortgage and tax payments, and can’t have any defaults on their records. The financing amount available is up to 10% of the fair market value of the property. The target interest rate is 6.95% for 20-year financing packages, but rates can be lower if owners want shorter payback periods. The improvements that are made with this program have to be permanent improvements, which is why this program is best suited for big ticket items like solar panels, high-efficiency HVAC systems or cool roofs. The financing is structured so that the energy savings from the upgrades are equal to or greater than the annual payback amounts. For CVAG, the decision to take on this program was easy, given that another similar program in the area called HERO that launched in December 2011 has had amazing results. Since it’s launch, HERO has funded over 3500 projects with a total of over $64 million in energy loans. This program isn’t just great for property owners to help finance big ticket renovations and retrofits that they may not have been able to afford, but it also provides a boost for the energy auditors, assessors and contractors in the region as more and more people take part in the programs. It’s a win for homeowners, a win for job-creation, and a win for the environment. And it’s happening now.